Australian company, Evolution Mining, has unsuccessfully concluded its gold and silver exploration at Puhipuhi, Northland. The mining company had been conducting an exploration programme at Puhipuhi to understand the geology and determine whether economic gold and silver deposits exist at a target depth of around 200 – 500 metres underground. The Australian minerals company, which faced vociferous opposition by local hapu and other groups, is reported to have said that its exploration drilling had not yielded convincing results that an economic resource was present. Exploration has been underway since June 2016 at the head of Northland’s largest water catchment, which spans the Puhipuhi and neighbouring aquifer and streams, the former Hikurangi Swamp, and Wairua and Northern Wairoa Rivers which flow into the Kaipara Harbour. 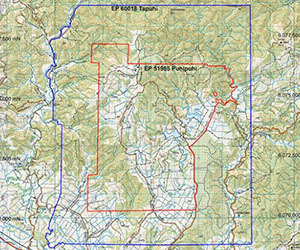 Evolution Mining New Zealand holds an active Exploration Permit over the Puhipuhi area (EP51985) and an additional Exploration Permit (EP60018) over adjoining areas (granted on April 13, 2016).